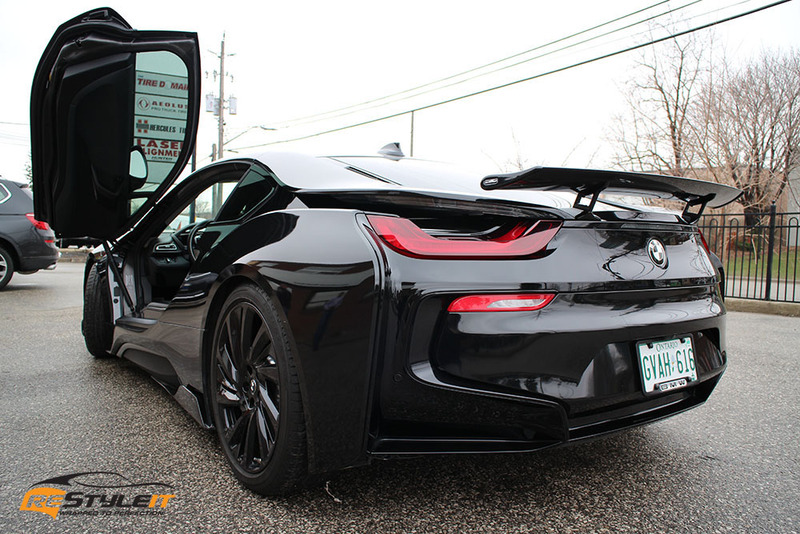 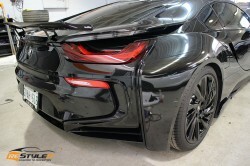 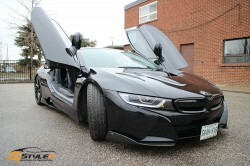 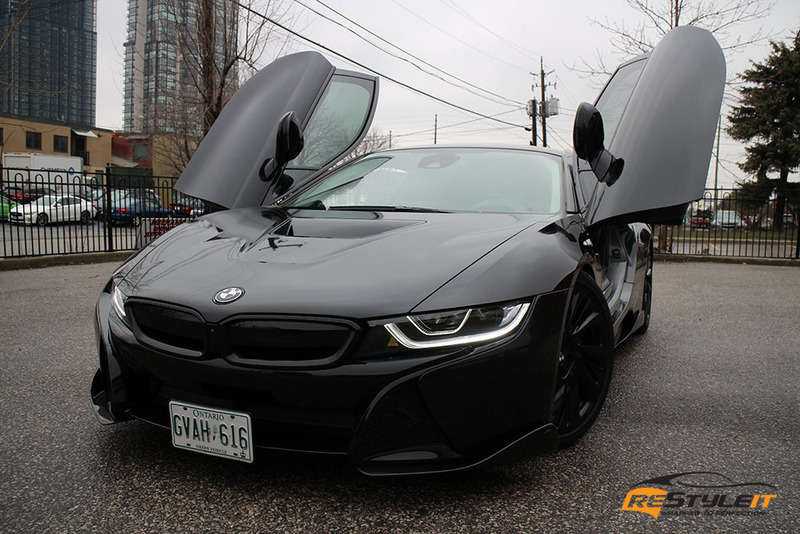 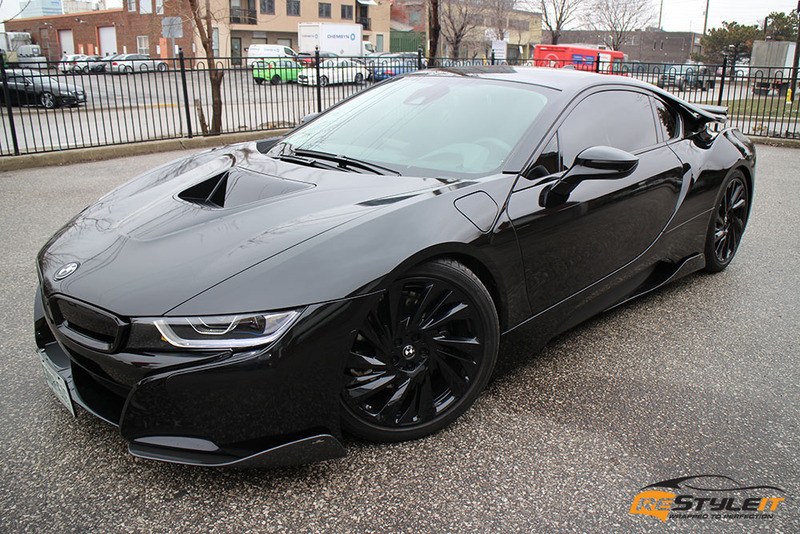 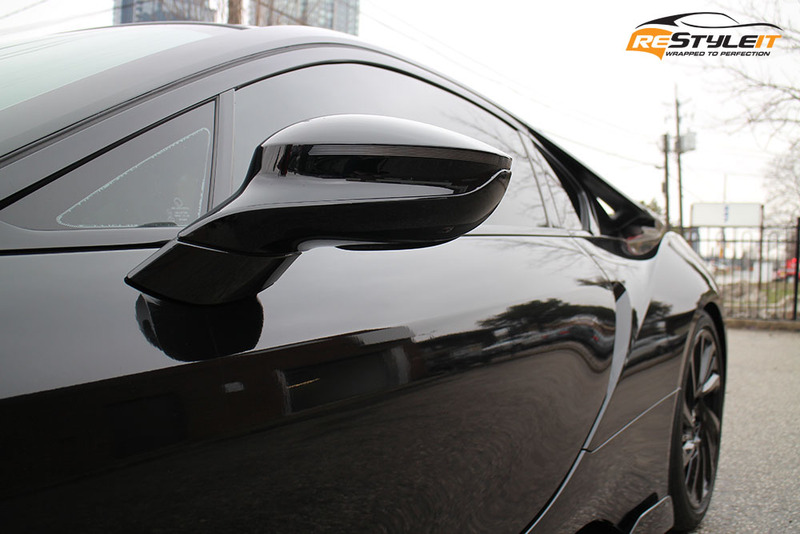 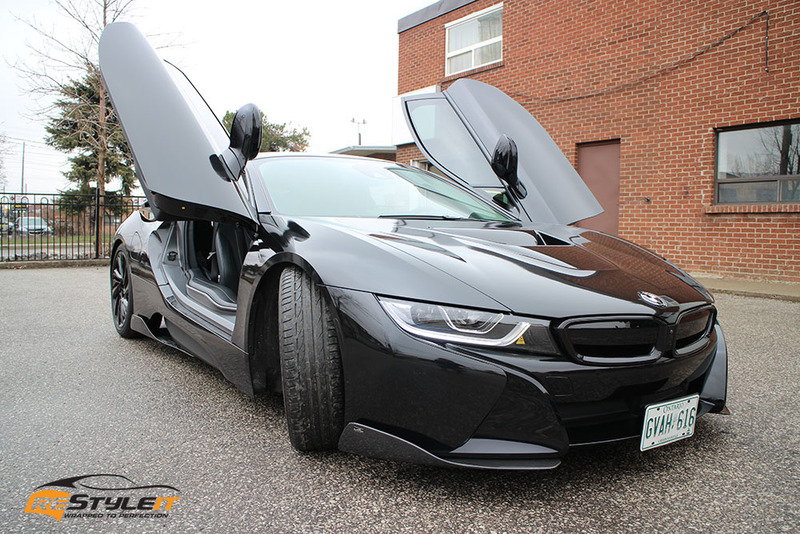 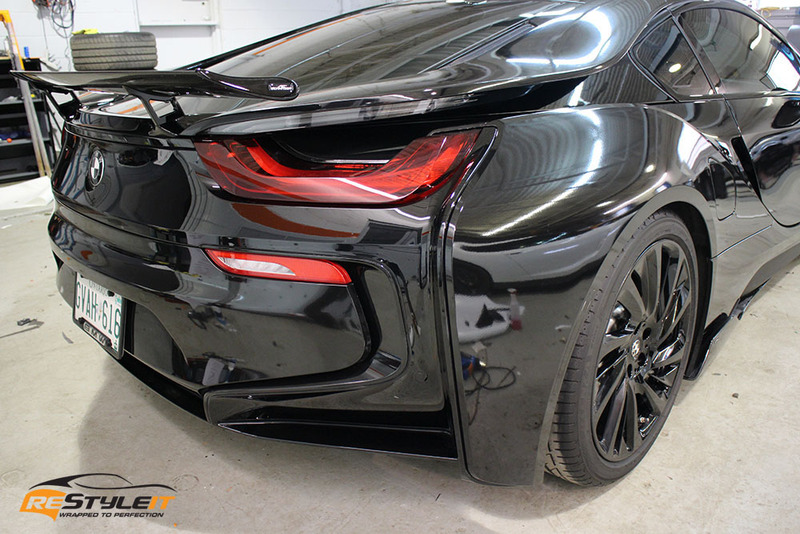 Full body color change on this BMW I8 was performed from the factory dark grey to gloss black. Signature blue trim was wrapped along with the body of the car as the owner was after the “all black” look. 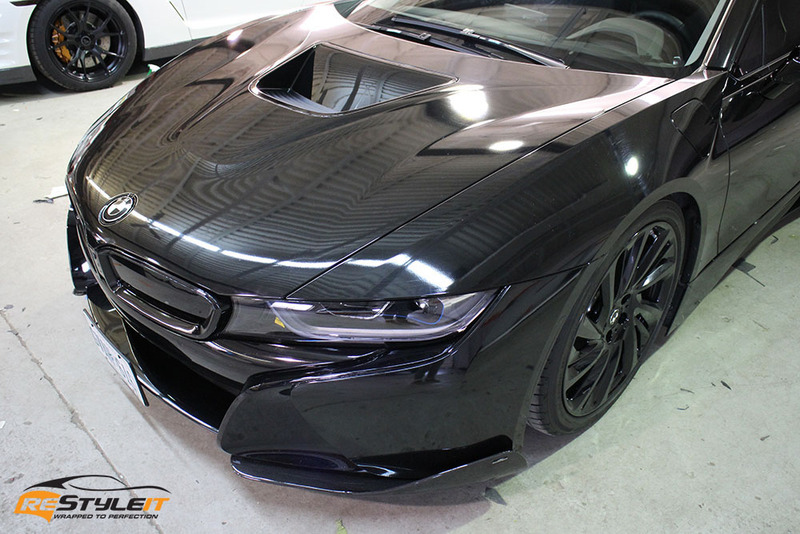 It was a fun project to work on and it turned out looking pretty sharp. 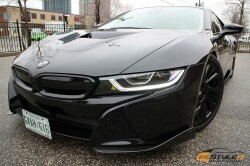 Look out for it on the streets of the city!